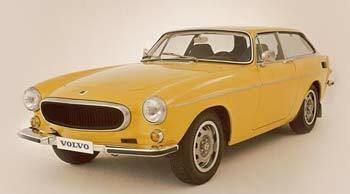 The Volvo was born in Gothenburg Sweden back in 1927 by the founders Gustaf Larsson and Assar Gabrielsson. The Volvo been known for its emphasis on safety from the beginning which still stands true today. When you take a look at the Volvo brochures and sales pamphlets found here you will notice that safety is important, but style and performance are also very important. Like so many other automobile manufacturers Volvo has a rich history that runs through the entire line and it continues in many ways that include styling, engineering and advance safety features. The first Volvo that was manufactured was nicknamed the “Jakob” and then in 1929 Volvo added a six-cylinder powered model named the PV651. Like most other automakers the war put a damper or even a complete stop on car building, but after war Volvo hit the ground running by introducing one of the most popular Volvos ever made, the PV444. Volvo started shipping cars to the United States in the 1950s and it didn’t take long for Volvo to become a popular brand with the American consumer. The Volvo was offering safety features and devices ahead of its competition yet the vehicle had an air of sophistication. 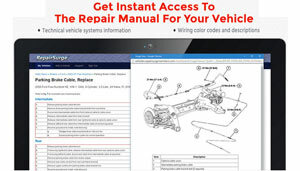 You will see what I mean when you go through the Volvo brochures and booklets we have in PDF format. Volvo was the leader when it came to safety and they even created the three-point seat belt, which is the safest restraint that still remains in use today. Volvo actually opened the patent to the three-point seat belt to all automakers at no charge in order to make drivers and passengers safer in all automobiles. The Volvo brochures and sales booklets do a great job of explaining extraordinary focus on safety for both drivers and passengers. Volvo introduced their sports car, the P1800 that became a star in its own right when it was the vehicle of choice on the television series “ The Saint” starring Roger Moore. This mystery spy thriller TV series in the UK and US, which was quite popular and consisted of over 120 episodes, which made the Volvo P1800 a highly desired vehicle. Volvo continued to offer state of the art safety systems likes padded dash for passenger safety and front and rear crumple zones to absorb the impact energy and keep passengers safe. You can have a closer look at the P1800 in the Volvo brochures and literature we have that you can download. We have a fairly good assortment of the Volvo P1800 sales pamphlets. Volvo continued through the 1970s to turn heads with their cutting edge safety features like collapsible steering columns, rear-facing child seats, childproof locks that you couldn’t find in any other automobile at that time. We have some Volvo brochures and sales literature from the 1970s so you can see these Volvo exclusive safety features from back in the day. During the 1980s Volvo joined the ranks of some other popular brands like BMW and Saab as one of the cars that was preferred by Yuppies. Volvo was not only the leader of the field on safety but also in technology. Volvo had their own turbocharged engine and before the end of the 1980s they introduced a front wheel drive hatchback 480 and a 780 coupe. Volvo made a big splash in the 1990s with the launch of the 850 front wheel drive executive car that was one of the safest vehicles of the time coupled with outstanding performance. See the Volvo brochures below and download the PDF. Volvo also introduced two more models the S40 and C70, which as always were stylish and safe and quite successful. Volvo was purchased by Ford in 1998 and exchanged some of their technology and resources were shared between the companies. However when Ford had financial problems in 2010 they sold Volvo to Geely Automotive of China. Volvo to this day has continued so far to create both safe and stylish vehicles.